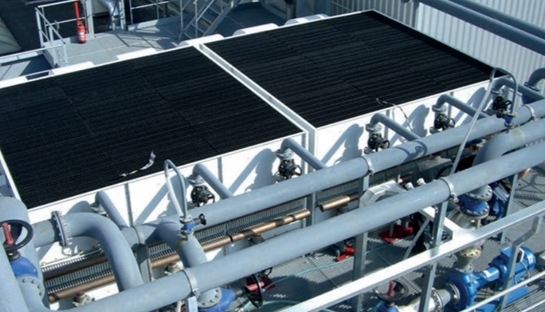 Water is circulated in a closed loop inside the closed (evaporative) cooling tower. 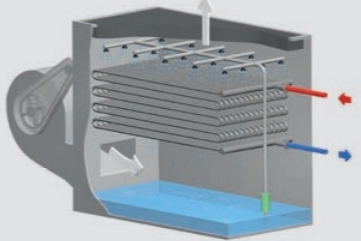 (Primary cooling loop). Secondary water loop is the re-circulated spray water system.